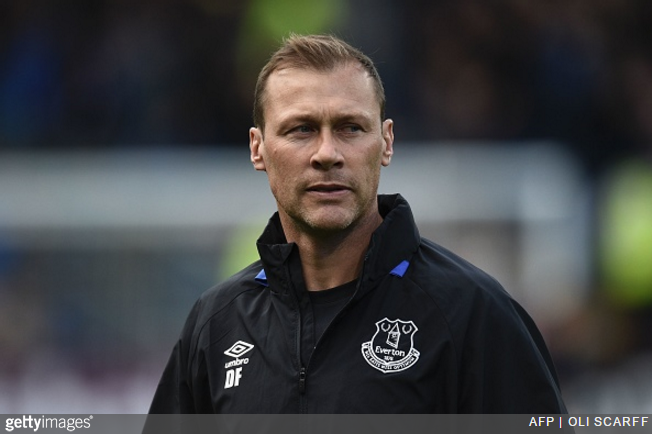 Having attained legendary status at Everton by pummelling his way to the top, Duncan Ferguson has now settled into a more sedate coaching role at the club. During a chat with The Times about his new, mellower professional persona, Big Dunc (a self-confessed “big softie” these days) was asked to name the three toughest opponents he came up against during his playing days. While it shouldn’t come as much of a turn-up that two of Ferguson’s picks were of the archetypal ‘big, ugly centre-back’ ilk, his final choice might just raise your eyebrow a sliver. He was so big and so good in the air for Liverpool. He wasn’t the quickest, but he read the game brilliantly. A tough, hard, old school defender. There was him, Martin Keown, Gary Pallister and Steve Bruce — players who used to get their head in. From those I have named, he was the best in terms of being a “footballer”. He had a bit of everything. He wasn’t a soft touch either. Of course Ferdinand was an upper echelon centre-back, but he was also a namby pampy ‘continental-style’ ball-player for crying out loud! We’re just a little surprised that Rio’s languid talents would register with a seasoned elbow-chucker like Ferguson the Barbarian. Maybe he is going a bit soft in his old age after all!